It is very important for emerging movie critiques to have their own blogs. 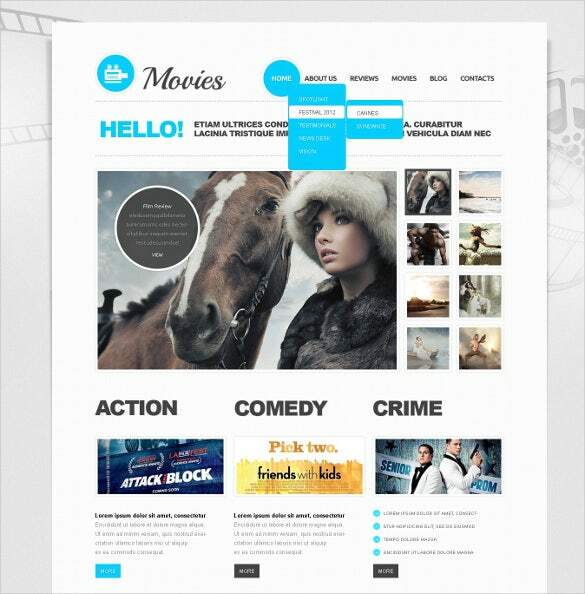 Your blogs should retain your identity, so we present to you a vast collection of the best cinema blogger templates. These premium templates are available for free download. You can download as many as you want and as many times as you want and edit them too. 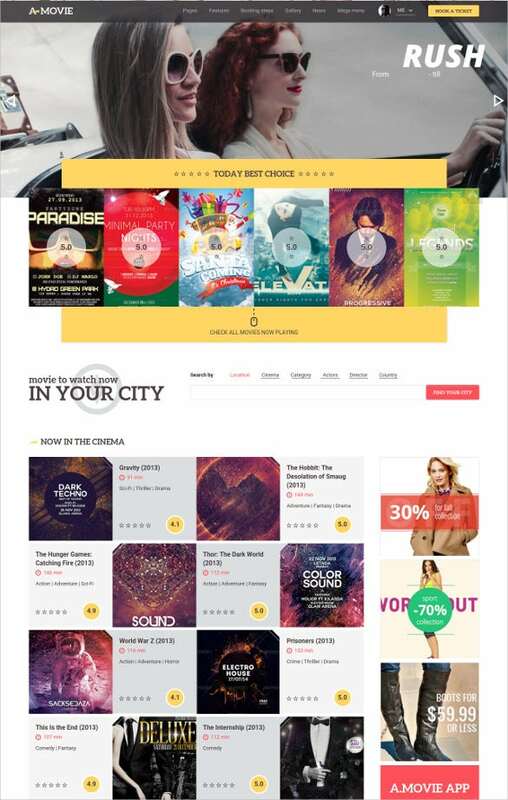 These templates, with their eye-catchy vintage themes, are best suited for websites related to cinema and movie theatre. 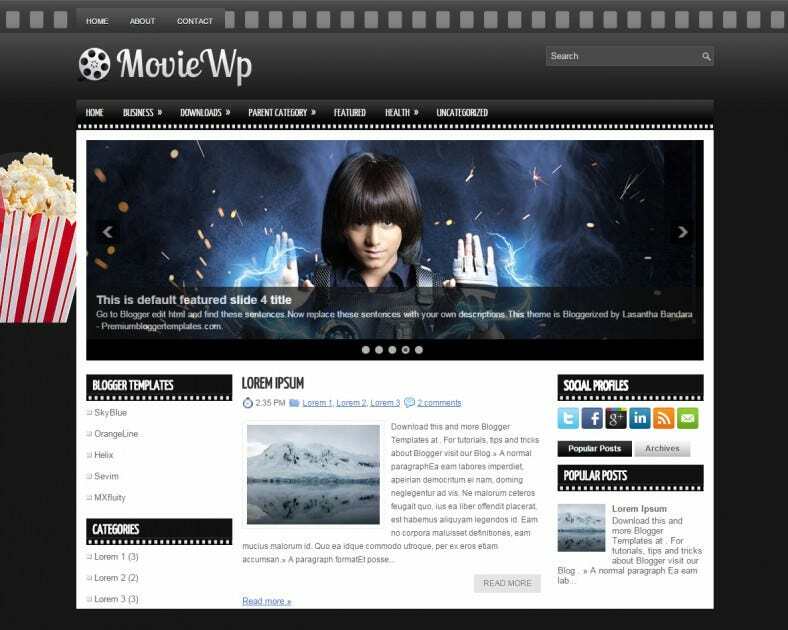 You May also visit Cinema WordPress Templates. 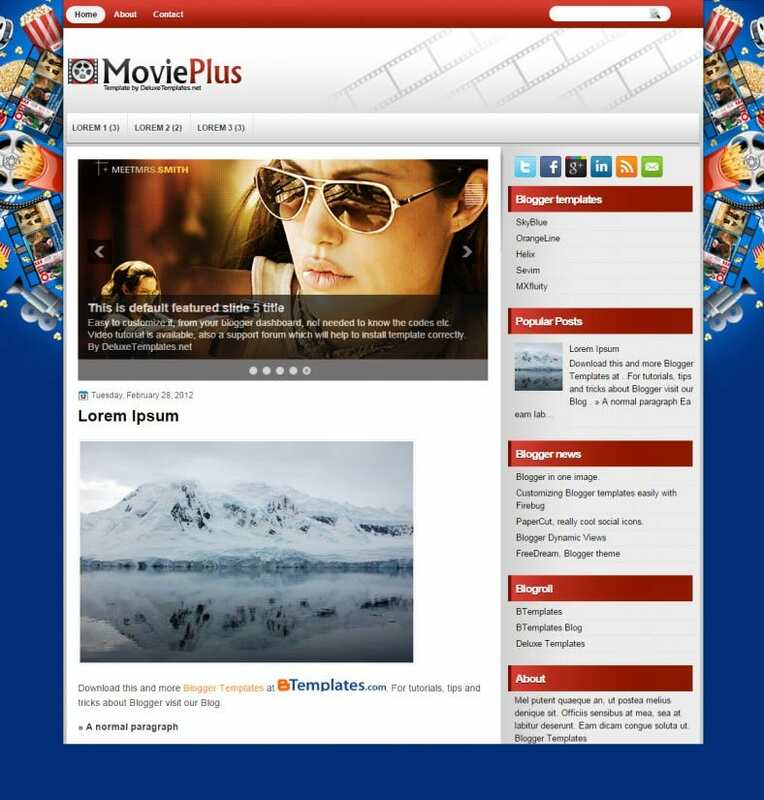 Let us give you a few reasons as to why these cinema blogger templates are the best options for any cinema blogger and critique. 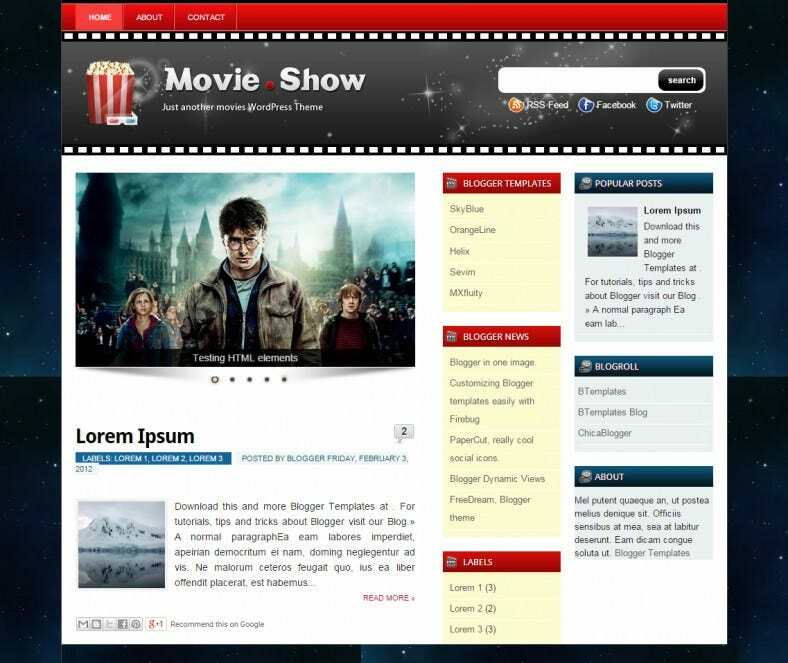 You May also visit Awesome Cinema / Movie Joomla Templates. Using Blogspot to write your blogs is oh so passe! Instead, go ahead and use this WordPress blog theme that has been specially designed for the purpose. It has a fully responsive design that makes it compatible to all devices while the WPML compatibility makes it an ideal choice for people of all nationalities. 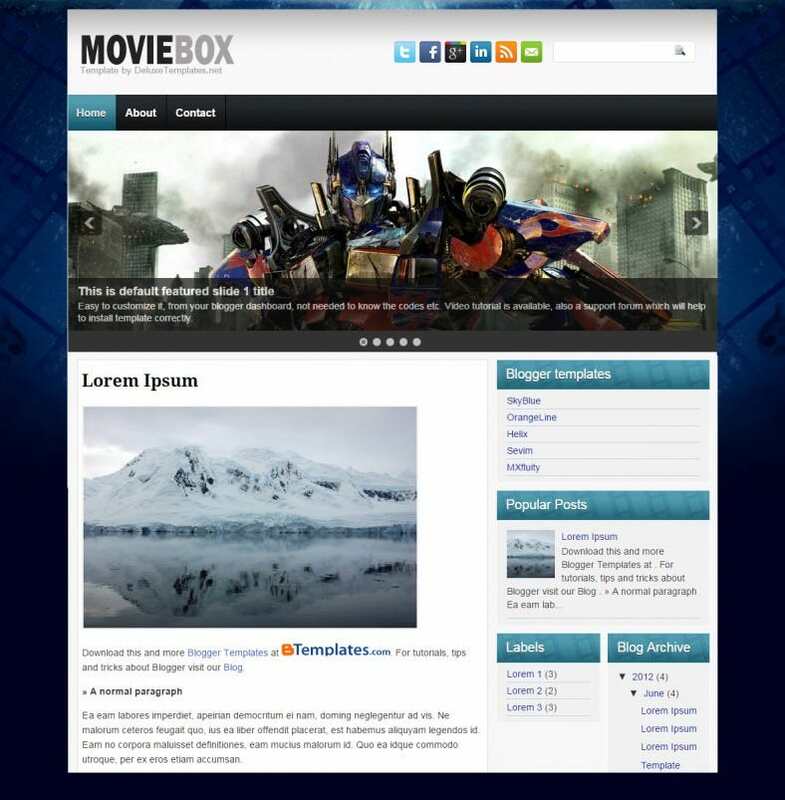 With this Bootstrap blog theme that has 36 HTML files and PSD files, you can easily design an interactive cinema blog or website. 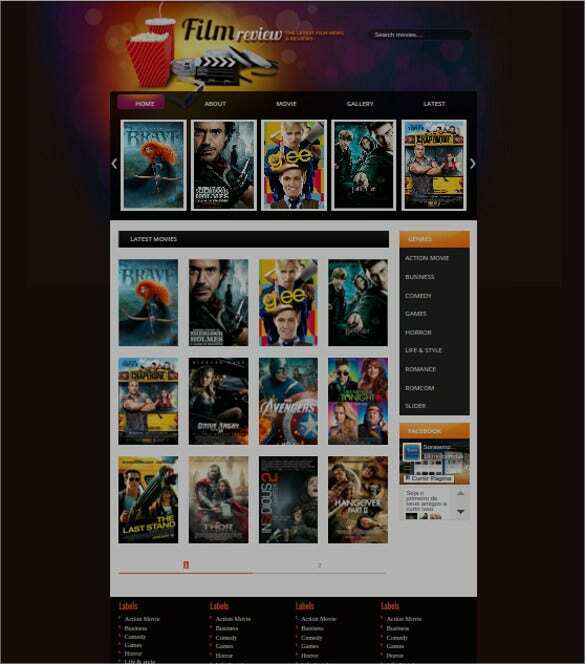 Endowed with a retina ready and responsive design, the resultant blog can be used for movie booking too, thanks to 5 HTML files that support this. 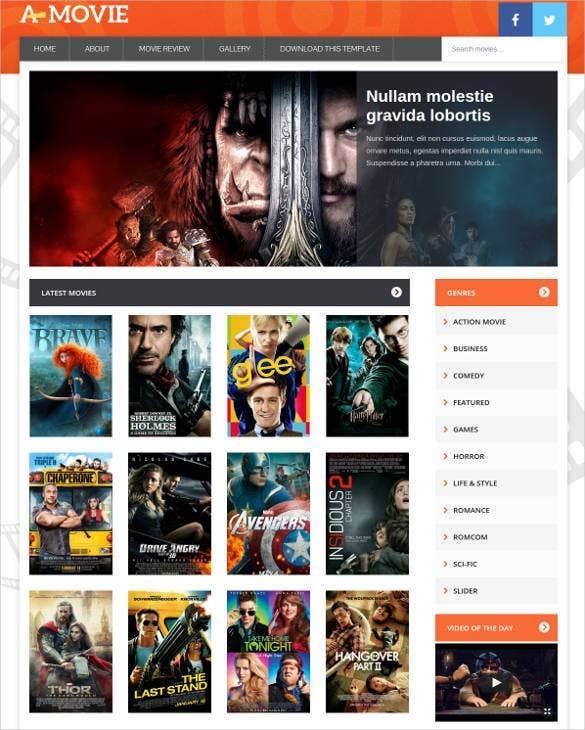 If you are thinking of designing a website that allows live movie streaming and viewing for the audience, go ahead and checkout this amazing WordPress blog theme that supports such operations. With an integrated blog, you can easily share your ideas too on the web page. These blog theme with a responsive design, advanced theme options, customized widgets, impeccable typography settings, sliders, PSD files and 32 short codes, helps you to design a website that is user friendly and offers high end user experience. 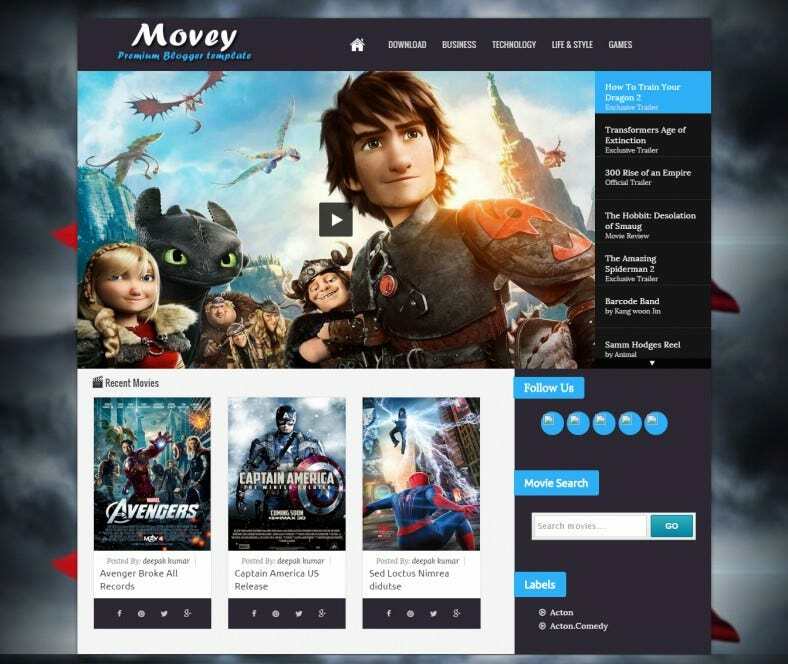 This interactive WordPress blog template that has been built on Bootstrap 2.3.1 and has coding in HTML and JS allows you to create a movie blog that is highly responsive and at the same time is user friendly. With a wide range of customization options, creating an easy to browse website is easy. 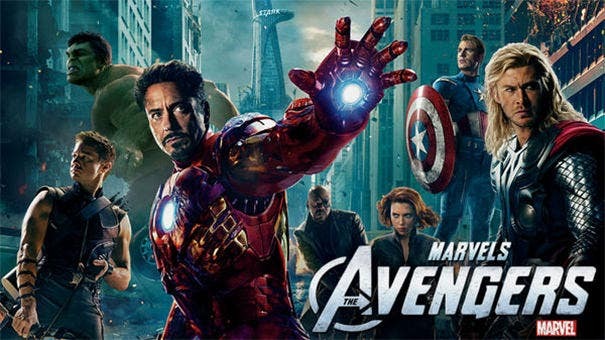 Bland movie blogs don’t enjoy the viewership and readership that lively, vibrant responsive movie blogs get. Regardless of where your followers may be, if you’re a serious blogger then you must consider it as your duty to put a movie blog which your loyalists would love visiting time and again. 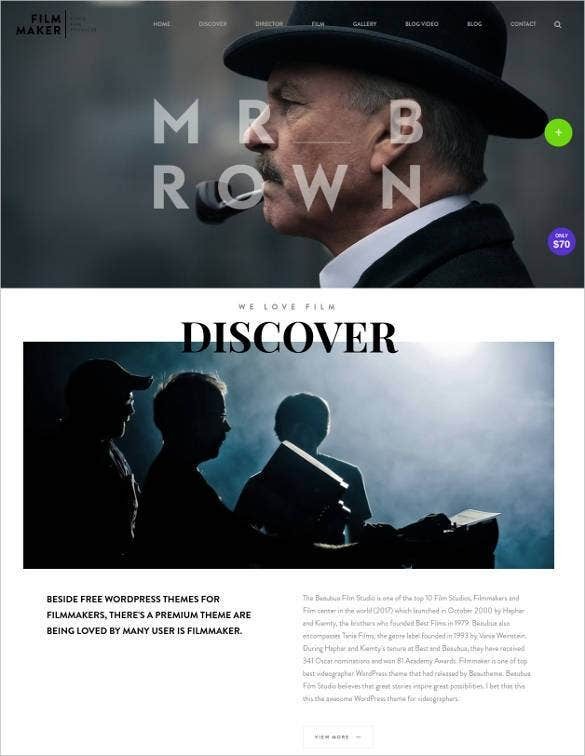 A cinema blog should be well-designed and it must also be fully-responsive. In an era which mobile internet has become a usual trend, it makes total sense for you to opt for a blog theme which is accessible on all devices. This theme has responsiveness and that’s why you must consider this theme quite strongly. 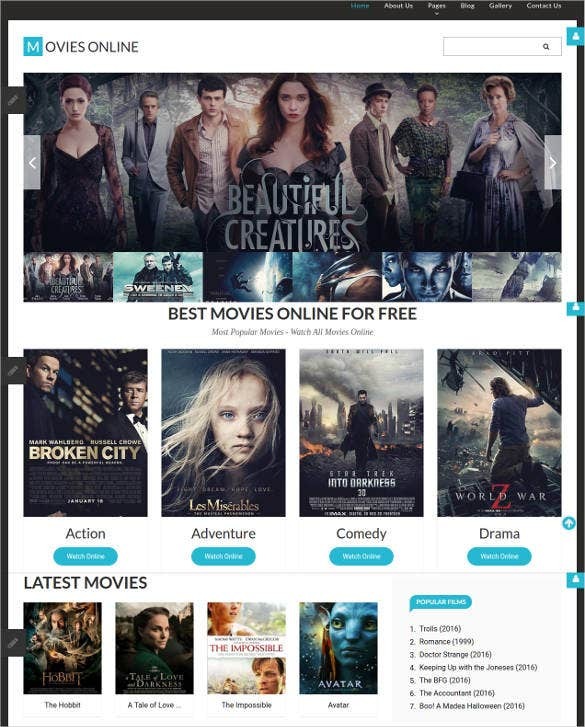 This free WordPress blog theme is endowed with a responsive design, thus allowing the people to easily access this website on any device and enjoy the movies and other information anytime, anywhere. 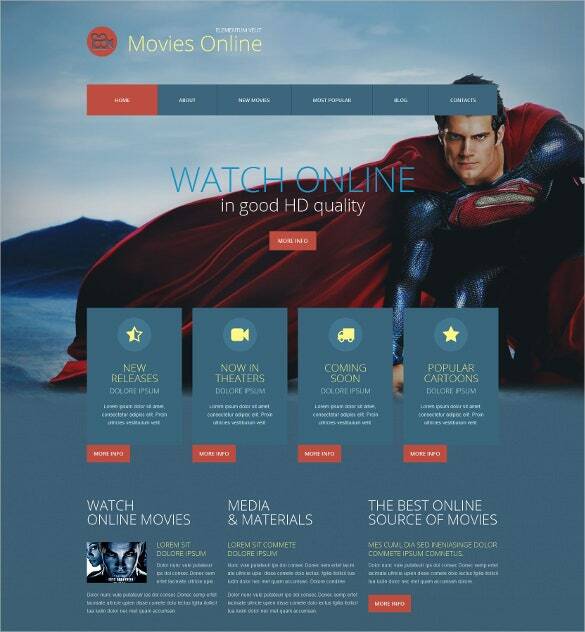 For bloggers that enjoy shelling our movie reviews and wisdom especially for superhero movies, action movie flicks, you must definitely take a good look at this Vcol cinema responsive blog template. 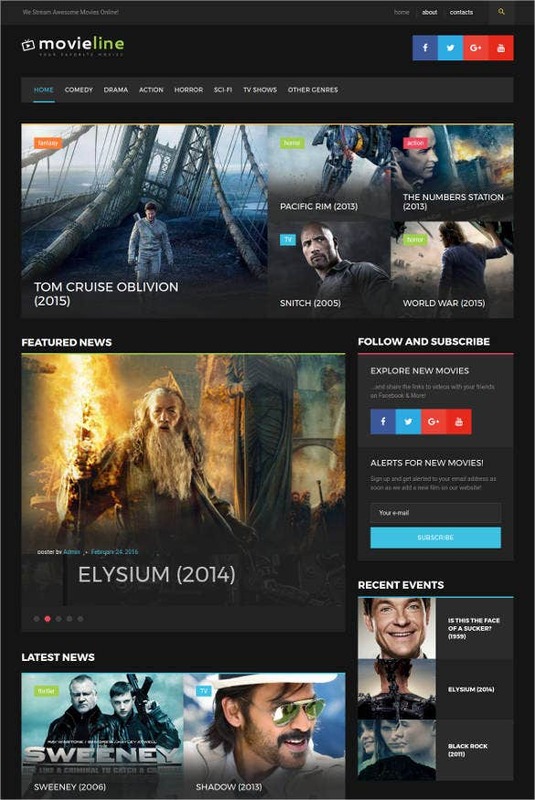 This is definitely one of the better-looking and well-performing templates in the movie blog themes section. For ardent movie buffs that love to blog about their favorite genre of cinema, this blog theme is just apt. It not looks good, it has an impressive star-cast of features and options which are fully-customizable and editable. 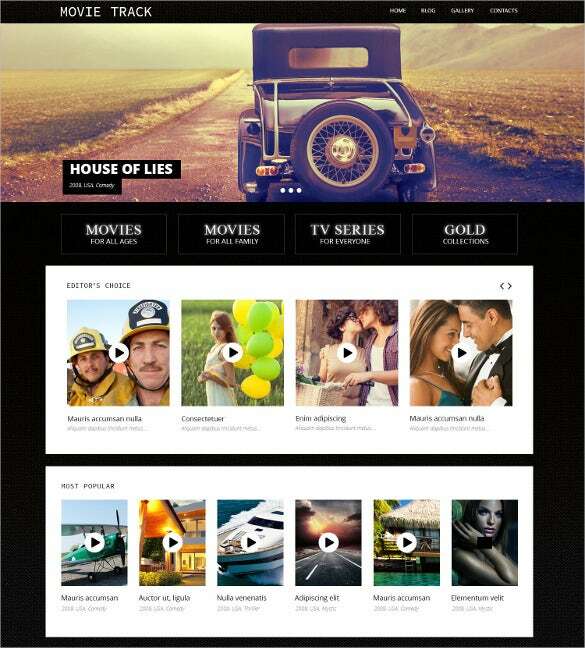 If you’re a movie blogger but do not know much about blog themes, you must check this one out! 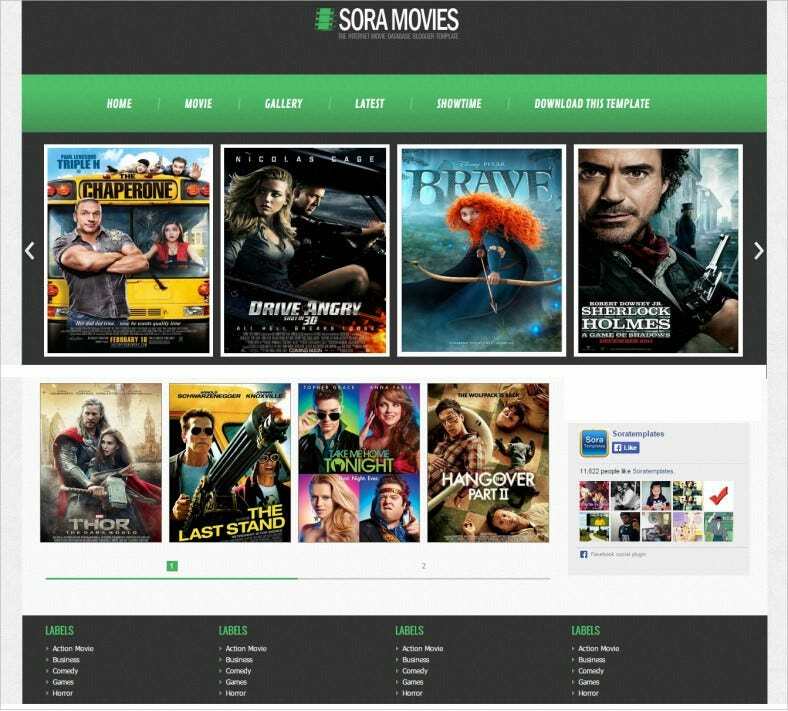 The Sora Movie Cinema Responsive Blogger Template is the ideal cinema blog theme for anyone that wishes to deck their blog site in a theme which makes looking up for movies simple and easy. 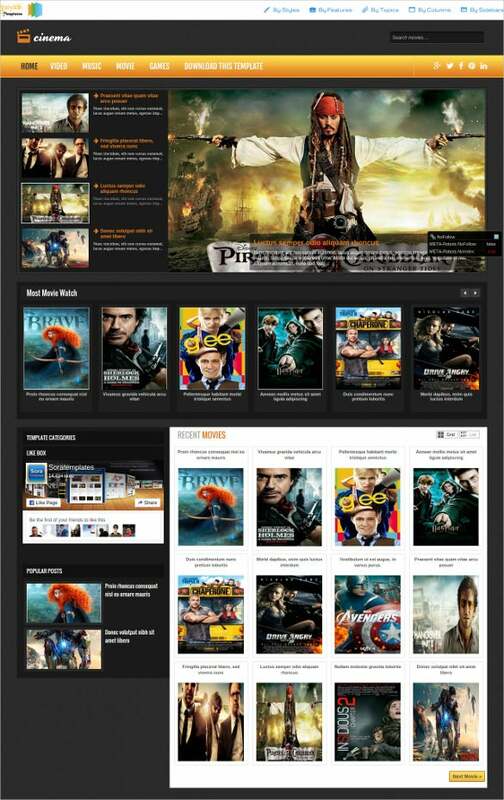 In terms of features, this theme is responsive, user friendly, vibrant and easily accessible. 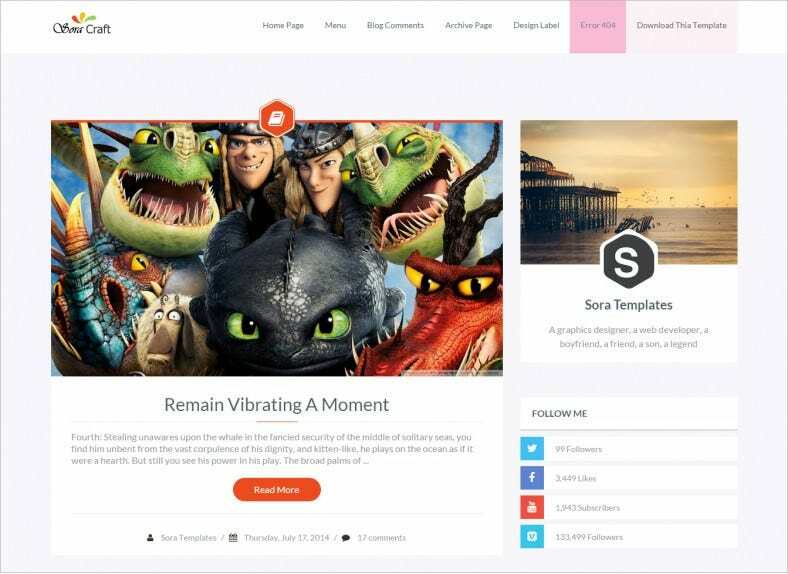 The Sora Craft Cinema Responsive Blogger Template focuses on big, high quality graphics and engaging text formatting to draw the reader in and create a friendly look for your blog. 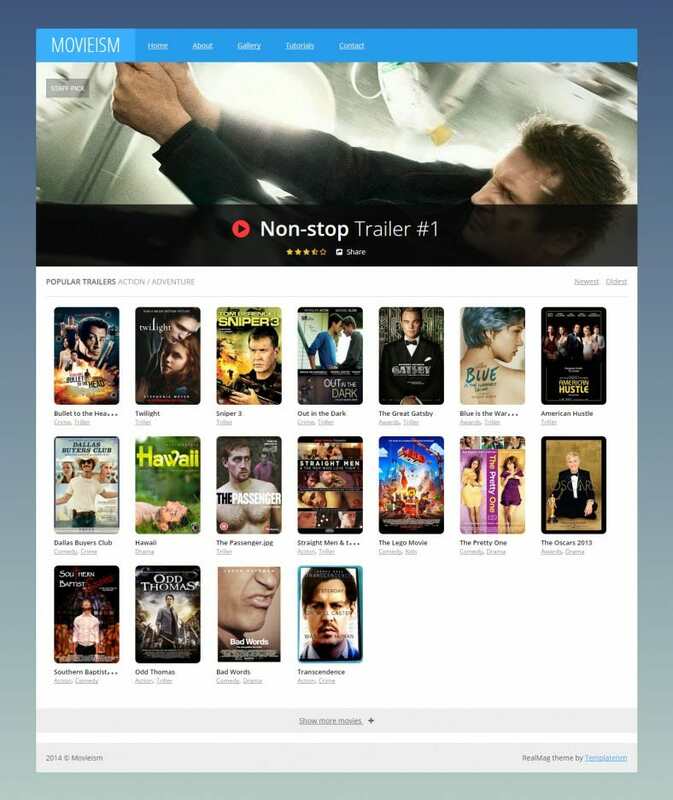 Internet cinema and online movie watching is much in vogue these days. If you too want to join the bandwagon, what better way to do this than the aforesaid template that helps you to design a website without the assistance of an expert, thanks to all the tools and options that it has to offer? With this SEO optimized blogger template, you can be assured of high traffic being directed to your website. With integrated advertising banners and blogs, reaching out to more number of audience is quite easy with the website designed using this template. 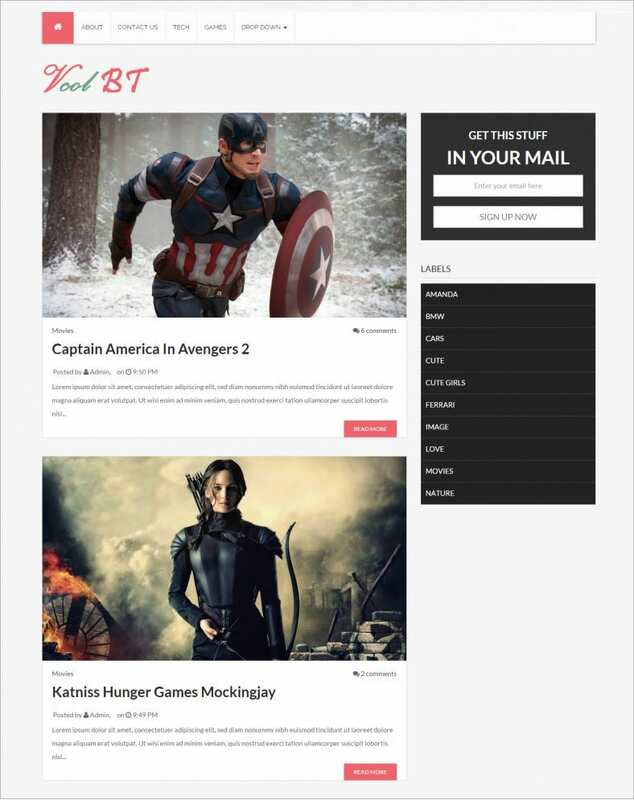 This Joomla blog theme with a responsive design and an integrated blog, allows you to design an interactive blog where you can share movie news and the likes with the audience. Adding animated effects become easy, thanks to the coding being done in HTML and CSS. With a two column layout in place, sharing content in a more attractive manner is possible. 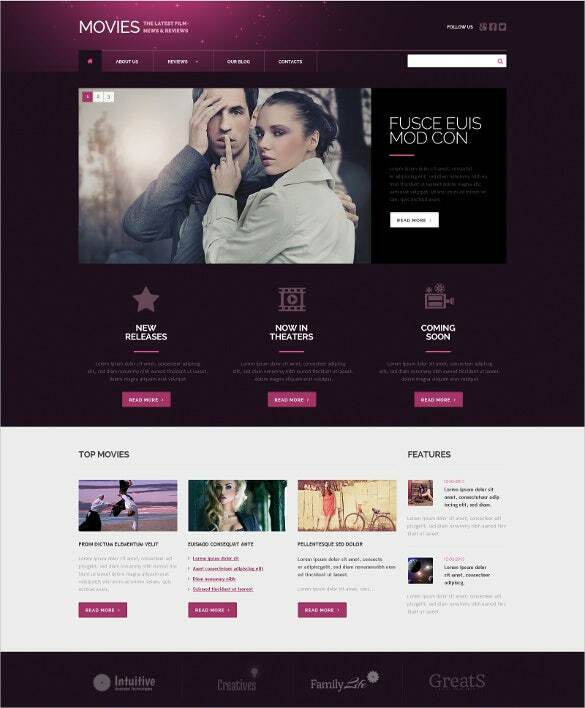 This theme is a perfect one for creative agencies, film studios and artists. You really don’t need to know coding to build the site, thanks to the plugin called wonderful visual composer. 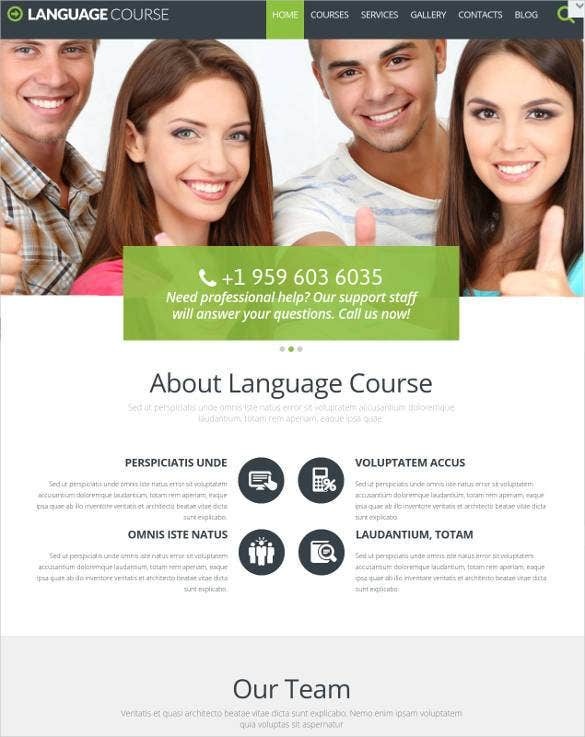 The resultant website is perfect for multilingual use as the theme is WPML ready. 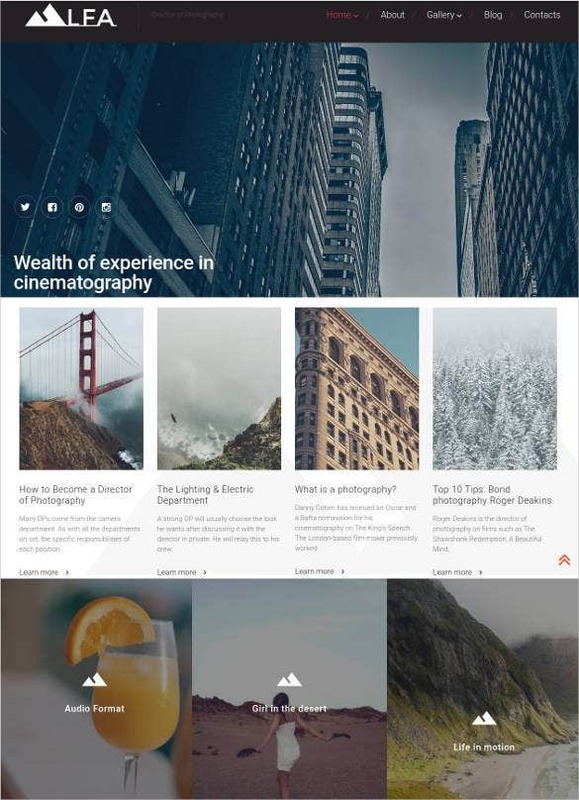 With a wide range of layouts and themes to choose from, creating a unique website is easy. 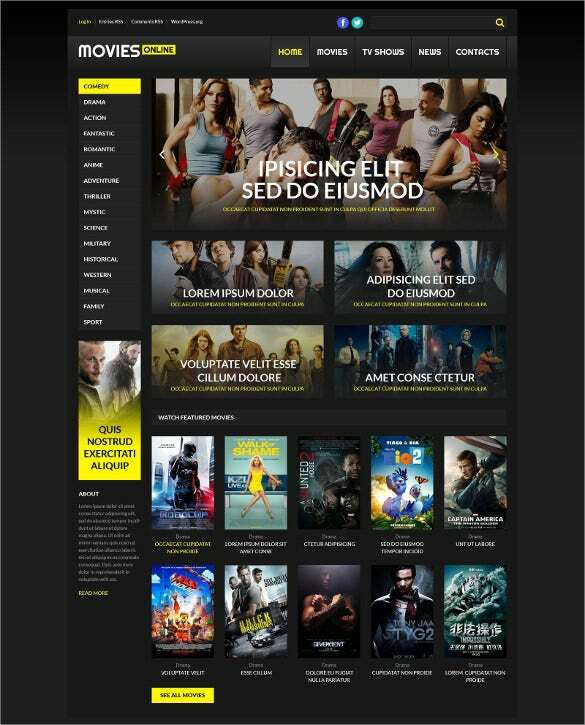 Want to design a fully fledge gallery to showcase movies and TV shows? Well, go ahead and check out this blogger website template that has been designed with a retina ready display, high end navigational options and a user friendly interface. 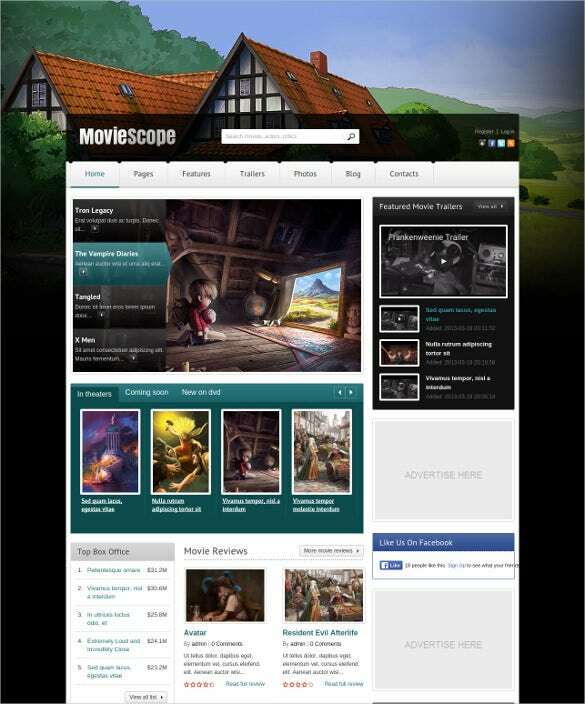 These are completely responsive and ads ready; they come with designated ad banners so you can show ads without compromising on the looks of your website.You can add the movie posters as your header image, in case of multiple posters and pictures be sure to try out their slider feature They are undoubtedly SEO friendly, cross browser compatible and also have social buttons to share your opinions with friends online.These cinema blogger templates come with multi-column footers and multiple layout options just like the displayed sample. you may also see YouTube WordPress Themes.